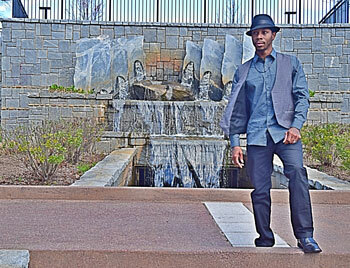 Lester R. Smith aka SR.Gent is a passionate entrepreneur, artist, songwriter, and proud father who based in Atlanta, Georgia. SR.Gent who demonstrated his unwavering love for music from an early age, lost his mother at the age of six, among other childhood hardships. These events led the artist, who hails from Tucson, Arizona, to make a promise that he would strive for a better life, a commitment he still maintains to this day. Enlisted in the U.S. Army during 2007 and medically retired in 2014 after serving in Korea, Germany, and Afghanistan, SR.Gent also graduated from the esteemed Berklee College of Music, and started writing and recording music seriously in 2013. Today SR.Gent is the owner of the independent record label LTP INC, and has just released his whopping 26 track album, entitled “Canorous Camisado”. The first thing that strikes you when listening to “Canorous Camisado” is that SR.Gent is truly a multi-genre artist. From Pop to R&B and EDM to Hip-hop, each song has its own defined style on this album. That’s not to say it’s a mess of random, incongruous sounds. SR.Gent knew what he wanted this beast to be, and he went to great lengths to bring it to life. Whether it’s his voice, or his taste for off-kilter beats, SR.Gent just does things differently, and he may be divisive because of it. As out-there as he may sometimes sound as he moves from style to style and genre to genre, one thing makes him positively traditional: He takes the art of music seriously. Independently of whether he is rapping or singing, he’s specialty is being deliriously entertaining. Ultimately, it would be wrong to reduce SR.Gent’s lyricism to just smart bars. The man is telling epic stories as grapples with his thoughts, experiences, relationships and even his demons. The album features a handful of producers who bring their individual flavors to the mix, with Corey Lingo dealing out the lion’s share of the album’s productions, which suit SR.Gent’s quaint deliveries like a glove. SR.Gent has also included a few features to add extra spice to the record. However you have to be in the right mood to listen to “Canorous Camisado” in one sitting, as the twenty six tracks takes time to wrap your brain around. SR.Gent is a hell of a performer, and he puts everything into his songs – from fully layered productions to complex lyricism – hence these songs require your full attention, if you want to reap all the listening benefits. But if you’re ready to meet SR.Gent and understand where he’s at, you will find a profoundly adventurous and expressive record that goes well above the terms ‘rap’ or ‘hip-hop’. “Canorous Camisado” is an album that shoots for the stars and, more often than not, hits them. We are living through an era where many rappers are capable of great things. But there’s only a few who could’ve made this kind of an album, and one of them is SR.Gent. I specifically did not break the album down into tracks, as I feel it would be intrinsically wrong to say that one cut is better than the next, as these songs are so diverse in style between them. The rule about the comparison between apples and oranges, absolutely apply here. However it would be fair to mention tracks that to my mind exemplify essential listening. They, for me, would be: “Aloha” (Prod. 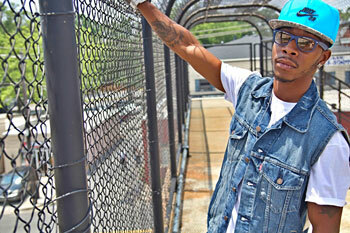 by Corey Lingo), “Don’t Let Me Down” (Prod. by Jacob Lethal), “Radio” (Prod. by Mantra), “Confused” (Prod. by BravoBeats), “Don’t Sleep” (Prod. by SnackBeats), “Playin Keyz” (feat. Gutta Terantino – Prod. by Corey Lingo), “Numb” (Prod. by Corey Lingo) and “Lord Lord” (Prod. by TheCratez). 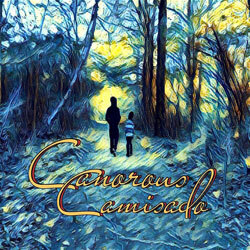 Comprised of a lot of tunes, “Canorous Camisado” thrives on overarching lyrical themes and cohesive flow from song to song. PreviousPrevious post:Product from SR.Gent’s Long Road albumNextNext post:Reviews SR.Gent: “Canorous Camisado” – truly a multi-genre artist!